Our clients' opinions are the ones that matter! At The Heathers care home in Bromley, we pride ourselves in the care we provide. Our staff are trained to the highest standards and our Care Home offers a relaxing, homely yet fully equipped provision. 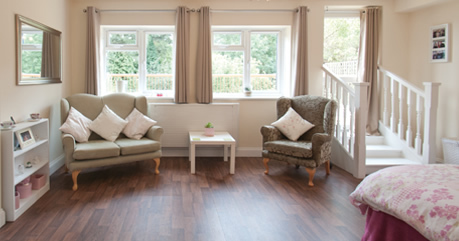 Our care home is attractively decorated, fully furnished and heated throughout. All bedrooms have a call system, TV point, wash basin and seven rooms have en-suite facilities. Commode chairs are available if required. Residents are invited to bring small personal items to add to the homeliness and individuality of each bedroom. Bathroom and toilet areas have been designed to provide space for ease of movement and maximize independence, privacy and safety. The home has a beautiful garden that backs onto the privately owned Shortlands Golf Club. Residents bedrooms are located on the ground and first floor of our three storey building. These are accessed by stairs and our passenger lift for those less able. A comprehensive system of smoke and heat detectors, alarm bells, fire extinguishers and emergency lighting has been installed in accordance with the requirements of the Local Fire Prevention Officer. The system is tested and maintained regularly. We operate a NO SMOKING policy within the home. Thermostatic valves govern the hot water supply to all basins and baths within the home. Low surface radiators are installed and covered throughout the home. There is no admission restriction with regard to age, gender, race or religion. As a general guide residents should have a physical frailty and or in the mild to moderate stages of dementia and mobile with or without the use of a walking aid. We do not consider our home suitable for totally wheel chair dependent people. 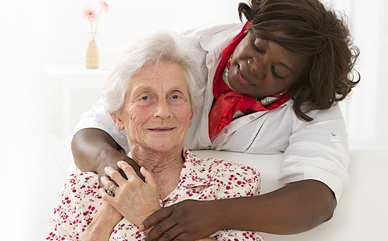 We do not provide nursing care or care to those with serious mental health conditions and advanced stages of dementia. Independence is actively promoted at The Heathers, a positive attitude and desire to be independent is considered more important than the actual ability to be so. Staff are trained to support residents in taking prescribed medication in line with policy and procedures, regulations and leglislations. Every applicant should be fully involved in the admission process and ample opportunity will be given for questions and discussions about the home, as well as residents/families own needs and expectations. Each application is assessed with regard to suitability of accommodation available, compatibility with other residents, and our ability to meet the individuals care needs. We very much look forward to welcoming you into our home. Please call us on 0208 460 6555 to arrange a visit.